This is a “swing for the bleachers” type of service. Each week you’re going to get opportunities to take small amounts of money (say, $1,000 to $5,000) and turn them into $20,000 or $50,000. Occasionally, we’ll only get to second or third base. Other times, however, we’ll hit it out of the park. This is a high-end research service designed to exploit the smallest yet most explosive companies in the stock market. 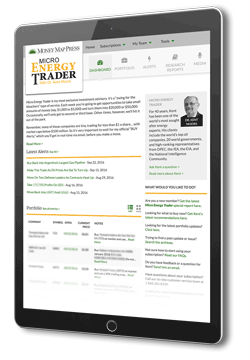 Click here for the most recent updates on Micro Energy Trader. I have, in my possession, a document containing shocking details about what may be the most important energy innovation of the past 100 years. This disruptive invention, partially funded by the military, is in the final stages of development by a small U.S. defense contractor. As soon as it’s released it will almost instantly disrupt nearly every aspect of a $6 trillion global energy market. I’ve never seen anything close to this kind of profit opportunity in my 40-year career… and I’ve seen a lot. My name is Dr. Kent Moors. I’m an energy and policy advisor to 29 governments around the world, including China, Russia, Australia, and – most importantly – the United States, where I serve on two State Department Task Forces. And I’ve even advised Li Hui, an executive with China’s largest oil company, Sinopec, on $2 trillion worth of natural gas investments. Whether it’s oil, natural gas, nuclear, hydro, wind, geothermal… if it can run an engine or generate electricity, I’ve made a deal happen. And none of them even comes close to the impact I expect this latest development to have on the global economy. In this presentation, I’m going to give you all the details I’m allowed to share publicly. But I have to warn you, this is a highly sensitive situation. You see, the defense contractor that developed this breakthrough is tiny. Its market cap is just $75 million. If you were to look at it like a map, Boeing would be the size of the United States. And Northrup Grumman would be the size of Mexico. This company, on the other hand, would be about the size of Cincinnati, Ohio. But when news of their historic accomplishment goes mainstream, investors who understand the implications will immediately scramble to buy every share of this company’s stock they can get their hands on. This tiny firm could deliver a small group of investors a historic 38,901% windfall profit. That’s the equivalent of turning every $3,000 invested into $1,167,030. Now, like any investment, nothing is guaranteed. But if you want a shot at this kind of profit potential, there’s a very good reason you have to act NOW. Because recently, high-level government insiders have begun to position themselves inside this company to reap the profits. A former Chairman of a White House Task Force on Defense…. Have scooped up over $4.7 million worth of this company’s stock. They know the military is desperate to get their hands on the type of game-changing technology this defense contractor is about to release. Never before has a single technology revolutionized both the energy sector and the military at the same time. But that’s exactly what’s about to happen. While reducing wartime casualties by 65%! But the implications extend far beyond the military. An attack that could cause rolling blackouts and up $1 trillion of economic damage. And it was developed by a tiny company that – for all intents and purposes – is a secret to 99% of the world. 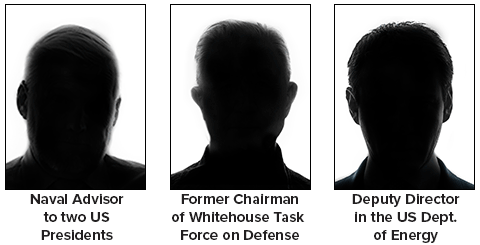 But the truth is, this defense contractor is no secret to the Pentagon. In fact, our military has been relying on this company to solve some of their most challenging problems for more than a decade. When dead radios and equipment were limiting the amount of time soldiers could spend on patrol, this company developed a battery that lasts six times longer. When the Taliban began retreating to more and more remote locations, this company engineered a power system that increased our drones’ flight range by 33%. And when the Pentagon learned that the average soldier was carrying 35 pounds of battery on every patrol, this company pioneered a revolutionary new tactical vest that turned their body armor into a battery. These are all extremely important innovations. There’s no doubt that this defense contractor has already saved lives. They’ve certainly made our military stronger. But nothing they’ve done up until now compares to the potential impact of the technology they’ve just released. And it could take over a $6 trillion market almost overnight. This Nano-Grid is an unparalleled feat of engineering. It can provide infinite power. There’s never been anything like this in the history of energy. I have no doubt that in the near future, you’ll be hearing a lot about this company in the news. And just three years from now, you’ll likely see their logo as often as you see a Chevron or BP logo today. Let me give you one very good reason why you should care about being one of the few people in the world to “discover” this tiny company. This may be the first chance you’ve ever seen to realistically turn just a few thousand dollars into more than a million. Now, obviously, nothing is guaranteed. There’s always risk when you’re investing, and when it comes to a company this small, there’s a chance it could drop as quickly as I’m expecting it to rise. The federal government has already taken the vast majority of the risk out of this opportunity. You see, what I’m watching unfold right now is not a new phenomenon. It’s a pattern that I’ve seen over and over again. The U.S. military identifies a problem. Anything that costs too much money or too many lives. The Pentagon secures funding to solve that problem. They extensively vet and grant contracts to not just one or two but every company that can develop a credible solution. These initial stages happen over the course of a few months – sometimes a few years. If you’re not running in military or government circles, you might never notice them at all. But the next step happens very quickly and gets a lot of attention. One of these companies delivers an incredible new technology or solution and quickly gets flooded with huge contracts. That’s where things get exciting. See, if the company that develops the best solution is one of the established players with a market cap in the billions, these contracts may only bump its stock by a few percentage points. But the government also works with dozens of contractors on the opposite end of the spectrum. Public companies with a market cap of less than $300 million. In other words, microcaps. Buckle up, because the profits can be extraordinary. Back in 2009, we were still heavily involved in several conflicts in the Middle East. And a majority of our casualties and injuries were caused by IEDs. These roadside bombs had killed 3,100 American troops and injured 33,000 more. So it didn’t take much convincing for Congress to grant the Pentagon $75 billion to develop solutions. Almost immediately, they put that money to work. They gave contracts to over 100 defense contractors. A handful of those contracts went to a tiny, $271 million microcap contractor called Textron. With these contracts, Textron developed a Tactical RPG Protection system which neutralized incoming explosives. They also developed vehicles with blast-proof wheels and 220% stronger armor. The more solutions they created and the more effective those solutions proved to be, the more military contracts they were awarded. 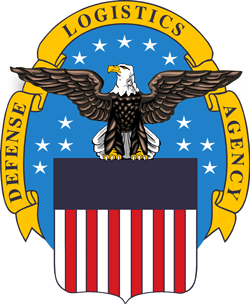 In April of 2009, they secured a $558,582 contract with the U.S. Defense Threat Reduction Agency. In July, they won a $5.75 million contract from the Air Force. And in November, they received a $9 million contract with the U.S. Army. 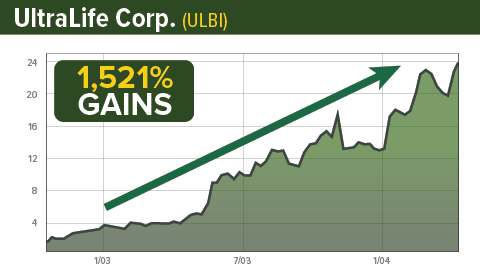 Before these projects, this microcap was trading for just $3.57 a share. 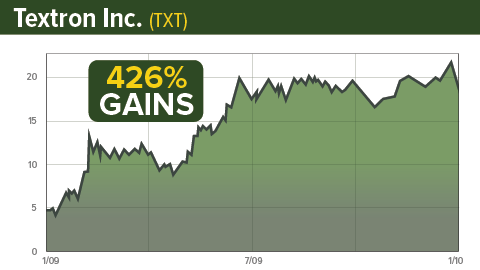 By the end of that year, Textron’s stock was up 426%. 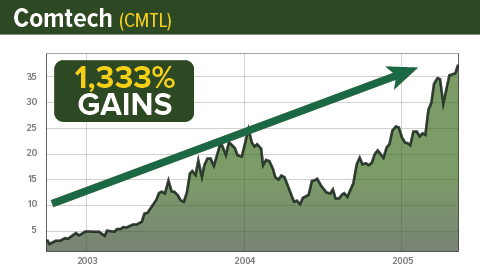 Within five years, it was up 1,034%. That’s enough to turn a $10,000 investment into $113,400. Now, often the problems the military has to solve are more about saving money than saving lives. For example, in 2002 and 2003, in the lead up to the Iraq War, we needed to transport troops and new equipment from U.S. bases to the Middle East. It was a logistical nightmare. The Pentagon was forced to spend $1.2 billion hiring commercial airlines. But in February of 2002, the Defense Logistics Agency also granted a $141,286 contract to a small firm called AAR Corp. 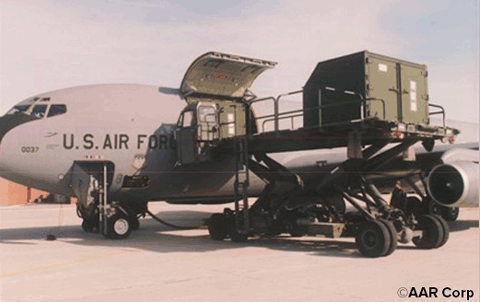 They came up with elegant designs that increased aircraft storage capacity by 22%. It saved the military millions of dollars over the course of the year. 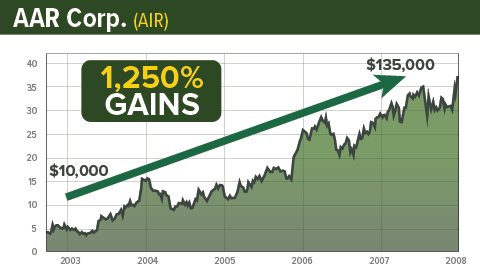 In 2002, AAR Corp. was trading for $2.92 a share. 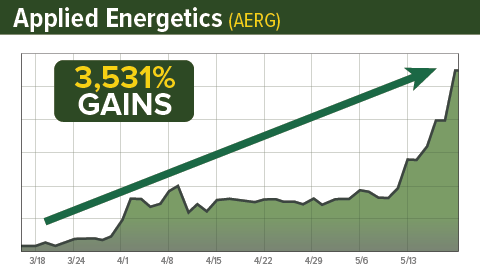 And AAR’s stock took off, gaining 1,250%. That would have turned a modest $10,000 investment into $135,000. Believe it or not, these aren’t even the biggest winners. One of the most critical situations for the U.S. – and a lot of other governments around the world – is keeping terrorists and criminals out of the country. The problem is, they’re not sneaking across the border in the middle of the night. They’re getting fake passports or drivers licenses and flying into the country undetected. Since 9/11, government agencies have been granting thousands of contracts to different firms to detect impostors and improve immigration security. One of these companies was SuperCom. They were developing electronic identity hardware, software, and services that make IDs and passports almost impossible to forge. In 2012, their technology was ready for the big time. They started winning contracts from governments around the world… and just like you’d expect, their share price began rocketing up. But then something interesting happened. The product they originally designed for national security was quickly adopted by hospitals, mobile payments, voter registrations… any business that needs to verify identity with absolute certainty. And as a result, their shares took off even further than they would have with government contracts alone. 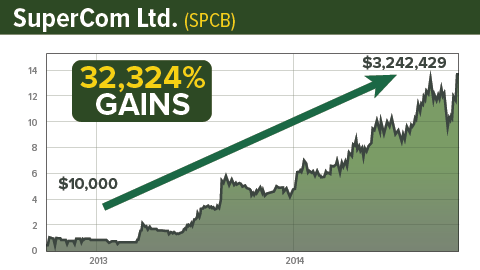 SuperCom’s stock shot up an incredible 32,324%. That means in only two years, a $10,000 stake could have transformed into $3,242,429. And that’s because most investors only invest in well-established companies. 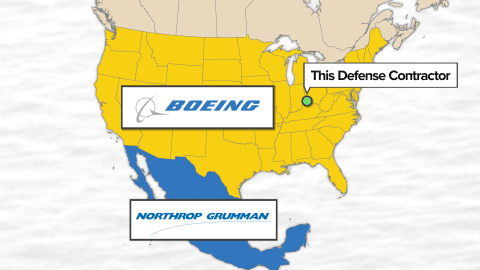 Look at a defense contractor like Boeing. It’s a great company. They’re constantly developing important technology for our military. But they already have a market cap of $81 billion. If they grew by 30,000%, their market cap would reach $24.3 trillion. And they’d still never get close to that kind of return. 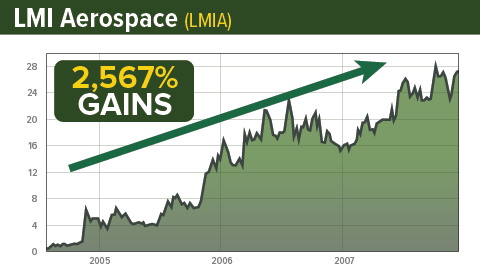 Now look at a microcap company like the $75 million defense contractor I’m about to introduce you to. They’ll still only be a third of the size of Boeing today. And I’m confident they’ll grow to at least that size. 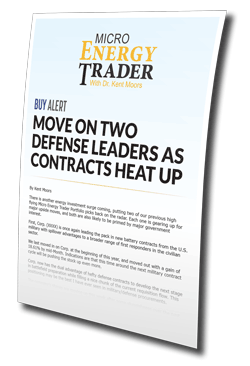 Because when you find the right defense contractor at the right time, the profit potential is truly historic. And they’re awarding them more contracts than ever. Giving you the perfect opportunity to capture all of the upside profits. And today, I’m going to show 100 people how to cash in on this potentially historic windfall. Now, the paradigm-shifting power of this Nano-Grid will become clear to you soon. But to the military, it was instantly apparent. See, the U.S. military is the strongest fighting force in the world, not just because we have the best trained soldiers, but because of our overwhelming technological advantage. From advanced ships, fighter planes, and tanks… right down to every piece of equipment carried by soldiers on the ground. The problem is that now, our entire military strategy depends on this technology… and the technology all depends on power. Right now, that comes from diesel generators. 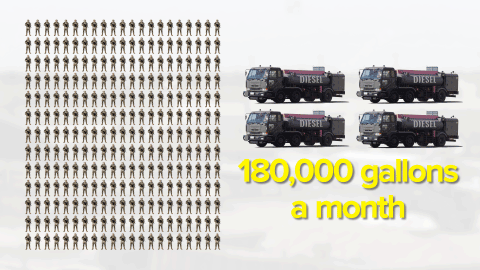 We currently burn 20 gallons of diesel per soldier per day. At a rate of 20 gallons of diesel per soldier per day, a small outpost with 300 men uses 6,000 gallons of diesel on a daily basis. That’s 180,000 gallons a month. When you total up all the costs that it takes to get that fuel from a refinery in a friendly country to the generators in the field, it can add up to $400 per gallon. So we’re looking at as much as $2.4 million a day for a small camp, just to keep the lights on. As an energy advisor to the State Department, I understand the importance of bringing those costs down. One out of every 24 times a fuel convoy is deployed to refuel a station, someone in that convoy will die. While new technology is helping, the casualty rate isn’t coming down fast enough. And that loss of life is unacceptable. They’ve granted the military $7 billion to find a new way to get the power our military needs to the places we need it. They’re investing in renewable energy, biofuel, and more efficient generators. As Col. Peter Newell says, the purpose isn’t to save energy, it’s to save lives. And one of the most promising developments is something you may have heard of called the Micro-Grid. The Micro-Grid collects energy from different sources. It can harness solar, wind, as well as traditional sources like diesel generators. It feeds all this energy into a central hub, then distributes it to the rest of the base as needed. First, by using alternatives to supplement the generators, a base can reduce the amount of fuel they burn every day, which cuts down on the need for transports. Second, it eliminates one of the biggest threats in any conflict: the single point of failure. Before the Micro-Grid, if the diesel generators went down or were sabotaged, the base lost power. The only backup option was more generators. With the Micro-Grid, an enemy would need to attack multiple energy sources at once to disable a base. It’s a good solution. But it’s not perfect. See, Micro-Grids have been known to cost as much as $18 million. And even at that price, they can take a team of highly trained engineers around 90 days to install. 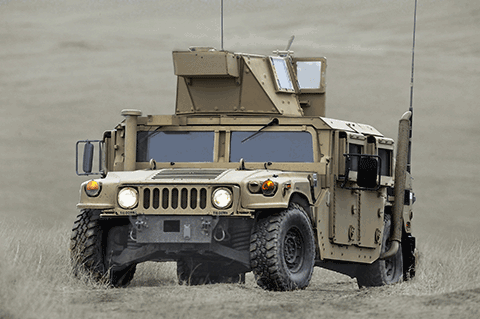 To truly ensure our troops have all the power they need without risking the casualties that come along with fuel transports, they need these grids to be much cheaper and much faster to install. So for the past decade, the Army has been investing in dozens of companies – both large and small – to develop a solution. One of those companies was the small defense contractor I’ve been talking about today. In 2007, the Army granted them an R&D contract for $1,594,283. They awarded them another R&D contract in 2008, this time for $1,689,061. And the military is reporting some incredible results. I’ll let them tell you in their own words from unclassified Marine Corps statements. I want to reiterate what these marines just said. This Nano-Grid is reliable, uses 100% renewable energy, and can run for an infinite period of time. And thanks to the millions of dollars the military and this tiny defense contractor have poured into their development, these systems are much faster and cheaper than anything that’s come before. Unlike Micro-Grids, the Nano-Grid doesn’t take a team of engineers 90 days to assemble. Anyone can have it up and running in less than 20 minutes. And instead of the 10 years it takes for a Micro-Grid to reach break-even, the Nano-Grid pays for itself in just months. There are three main components. The first is their solar panels. All of these solar units are easy to move from one location to another. As General Amos says, some of them are so small they can be rolled up and tucked in a pack to carry anywhere. That means there’s no expert installation needed. Just roll out your solar mat and you have instant power. The second component is their innovative high-density smart batteries. These batteries are both extremely powerful and extremely safe. In fact, they’re so unique, they can be used to power both the U.S. submarine fleet and many of our missiles. But most importantly, taking up less than one cubic foot, they’re also extremely small. That makes them light and portable. 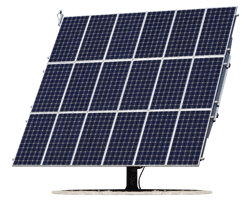 These batteries have multiple input plugs that allow them to be charged not just from the mobile solar panels, but from any available source of power. Generators, wind, hydro, geothermal, or any other source of electricity available. And the third component is their controller. This is a small computer system that regulates the power input and output. It automatically detects the power needs on a second-by-second basis. And it maximizes the efficiency of these batteries which is why they hold electricity longer than anything you’ve seen before. Just these three components account for the entire Nano-Grid system. And from the military’s perspective, this simplicity is one of its biggest benefits. It makes the system modular. By linking multiple Nano-Grids together, they can generate enough electricity to power an entire camp. And as long as every unit has their own Nano-Grid, the power capacity of any base anywhere in the world can be scaled as high as necessary. Before now, that would have required an extra two tankers of diesel a day – that’s 60 extra fuel runs a month where soldiers’ lives are in danger. 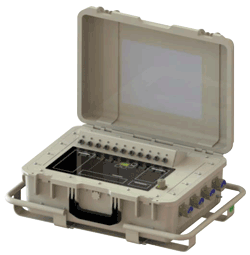 Or, if one unit in the camp needs to deploy for a longer mission or even transfer to a different camp entirely, they can disconnect their individual Nano-Grid and take it with them. This is a serious game-changer for the military. It allows our troops to quickly and cheaply set up a base of any size anywhere in the world without worrying about constantly supplying it with fuel. It’s just as critical for our bases here at home. From the national electric grid. And that’s a major national security risk. 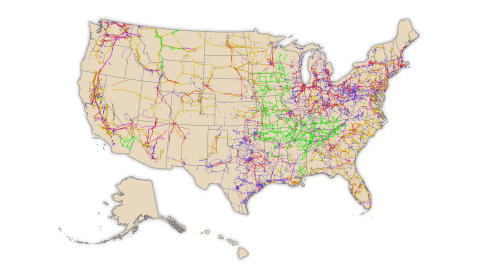 Our electric grid is a fragile, interlinked system pieced together bit by bit over the past 125 years. And according to the FBI and Department of Homeland Security, that grid is under attack. And General Keith Alexander has warned that we’re simply not prepared for that kind of catastrophic attack. Until very recently, all of our bases at home relied on this same energy grid. 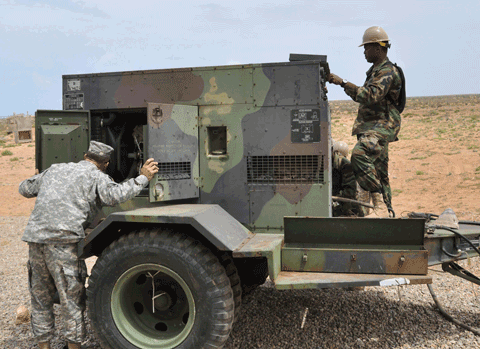 The only source of backup power on U.S. bases was the same type of diesel generators being used overseas. And according to General Joe Buccino, they aren’t enough. 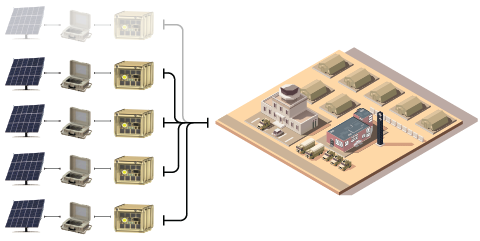 Which is why three years ago the military began installing Micro-Grids at Fort Bragg, Fort Bliss, Fort Hood, and 21 other bases around the country. But these projects are enormous and extremely slow moving. 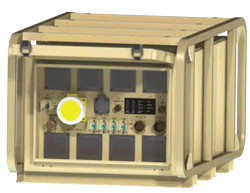 Take the Micro-Grid installation at Fort Bliss, for example. It cost $2.4 million and took over a year to get operational, and initially, it only powered the dining facility. If the main power grid goes down, the current system will only keep the camp running for an extra day or two before the batteries run dry. This is where this Nano-Grid comes into play. Remember, this innovative system could give the camp power for an infinite period of time. 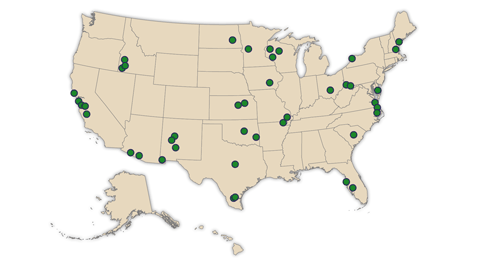 Now, the U.S. has 179 major military bases here at home. All of them are at risk of a catastrophic attack. With less than 20 minutes of set up time, it’s also by far the fastest. So it should be no surprise that this tiny defense contractor behind it is getting flooded with military contracts. Remember, in 2007 and 2008, this company won two R&D contracts from the Army worth a combined $3.28 million. Over the past 12 months, they’ve been granted 93 Federal Contracts with the Army, Navy, Air Force, State Department, and more. Last year, the government paid this Microcap Defense Contractor $49.68 million. And this year they have $63 million more in orders they’re working to fulfill. Which is why, based the military applications of the Nano-Grid alone, my projections have this company’s stock surging 1,026%. And based on historical precedent, that’s a conservative number. And at the height of Operation Iraqi Freedom, UltraLife became one of the main suppliers of batteries to the military. 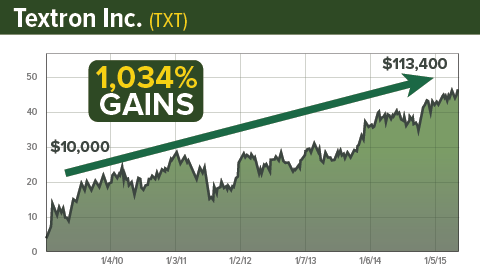 They were awarded contracts worth $103,524,261, and their stock took off, gaining 1,521%. Because of this company’s incredible work, their military contracts will likely be the smallest piece of their revenue. In an official company presentation, this defense contractor revealed that even though the military has been their best customer to date, it’s not the biggest opportunity they see. The real profit potential is much larger. 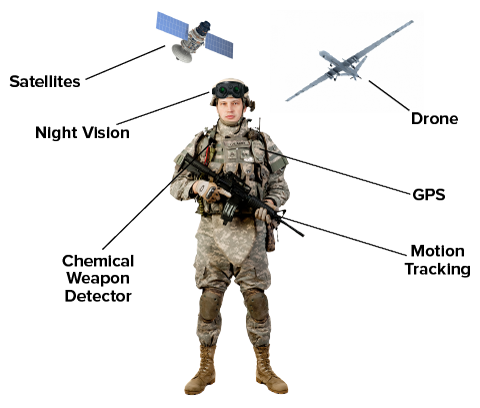 In the grand scheme of the energy world, the U.S. military is a small piece of the puzzle. And earlier this year, they just made major inroads into a profit stream that could kick off that 38,901% revenue run up. You see, the military’s renewable energy budget was $3 billion last year. It will probably be a little bigger this year. For a tiny $75 million company, that’s a big opportunity. The Department of Energy’s $29.5 Billion “Clean Energy” Initiative. Remember, with the Nano-Grid, clean energy doesn’t just mean renewable. It also means secure energy. But the rest of the government is still extremely vulnerable. The Wall Street Journal reported that a successful cyber attack against the U.S. electric grid could cause as much as $1 trillion in economic damage. And we’re already under constant attack. Our grid was targeted 362 times between 2011 and 2014. Thanks to this company’s Nano-Grid, that threat could be wiped out in just 20 minutes. But there’s a second reason – and one that’s just as alluring to politicians on both sides of the aisle. 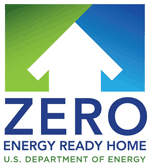 And starting January 5 of this year the Department of Energy implemented Standard 90.1. That requires all new federal buildings lower their energy consumption from the grid by 30%. That’s an enormous drop for a single year. But it’s not out of reach, because this defense contractor has now released a commercial version of their Nano-Grid technology. The US government owns more real estate than anyone else in the country. 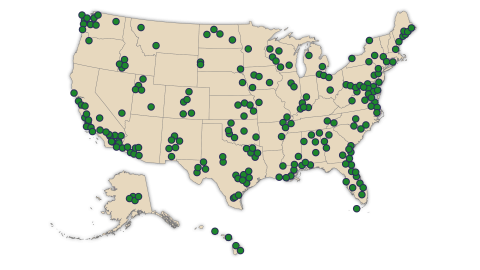 They have over 900,000 individual buildings that all rely on our unstable electric grid. And this tiny defense contractor’s Nano-Grid could provide them ALL with total energy security… while dramatically reducing their electric bills. So it’s no surprise that over the past year, this company has secured contracts with the U.S. Immigration Office, NASA, the Federal Acquisition Service, the Parks Service, Veterans Affairs, the TSA, and more. And by all appearances, even high-level government insiders agree. Earlier this year, a Director of the U.S. Department of Energy’s “Energy Policy and Systems Analysis,” acquired a stake in the company worth more than $680,000. Why would a public official want so much equity in a small defense contractor? But I can tell you that this DOE Director’s role in the government is to set domestic energy policy and analyze integrative energy systems. It could drive this company’s revenue up 8,851%. And that’s not even the end of the story. Because there’s another little known initiative that the Department of Energy is pushing hard this year. It’s called the Zero Energy Ready Home Program. It’s a set of standards that would move 60% of new construction to a hybrid, off-the-grid power system. Exactly the kind of accomplishment that only technology like the Nano-Grid can accomplish. And the market for this application is immense. In the U.S., construction is one of our biggest industries. We spend $48.8 billion each year just installing electric systems alone in new buildings. That will drive their revenues to more than $37.9 billion a year by 2020. That’s 38,901% revenue growth in just over three years. And that’s an extremely conservative number. The global energy market is $6 trillion a year. And this company’s Nano-Grid technology could touch every part of it. The full growth potential here is literally incalculable. 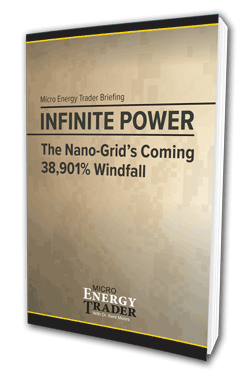 And today, I’m going to show 100 people how to capitalize on this historic opportunity by sending them a special briefing called Infinite Power: The Nano-Grid’s Coming 38,901% Windfall. And precise revenue projections and timelines as this contractor leads an energy revolution for our military, our government, and our homes. Again, right now, you can purchase shares for just $3 each. And a $5,000 stake into $1,945,050. I’ve been in the energy business for 40 years. I’ve been a party to a literally trillion-dollar deal. But I’ve never come across an opportunity with this kind of profit potential for every day investors. That’s what makes the Nano-Grid and the tiny defense contractor behind it so exciting. My briefing will show you what may be the first realistic opportunity you’ve ever seen to turn just a few thousand dollars into millions. I’m sending it exclusively to members of an elite research service I’ve launched called Micro Energy Trader. And I’d like to invite you to accept one of the 100 membership slots I’ve opened up today. They’re available on a first-come, first-served basis. I can’t guarantee that there will be any left tomorrow… or at any point this year. Unfortunately, I have to keep my membership ranks small for a good reason. As the name implies, I focus exclusively on microcap stocks with explosive profit potential. 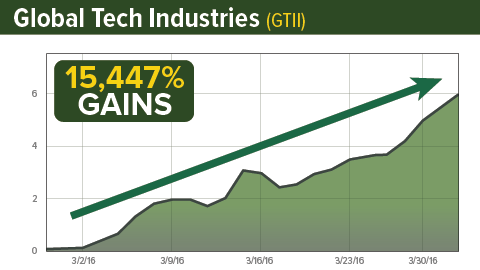 And Global Tech Industries – a company with oil wells in Kansas – shot up 15,447% in only 32 days. These kinds of returns are only possible from microcap companies. And because I have no control over how much my subscribers will invest in each opportunity – if they decide to invest at all – I have to keep the ranks very small. It’s the only way I know to mitigate the risk of too many people piling into my recommendations and ruining the opportunity for everyone. I can’t emphasize that point enough. Look, the last thing I want is members blindly chasing a stock like this upward with no plan in mind. And that’s especially true with the $75 million defense contractor behind the Nano-Grid. So in addition to keeping my ranks small, I’ll give you detailed share price “buy” instructions so you won’t overpay. Now, as I mentioned, Micro Energy Trader is mostly full. And once we reach the cap, I’m closing it down, potentially for good. And thanks to my connections around the world, I’m constantly learning about exciting opportunities before almost anyone else. I have a rare insight that – quite frankly – most private citizens just can’t get. But I’m often among the first to know when one of these microcaps has developed a breakthrough technology… or secured rights to an energy windfall… or received a flood of new federal contracts. Of course, I want to say this again, there’s risk involved with all investments. Smaller stocks like our Nano-Grid company can often be volatile, rising or falling quickly. But these are the kinds of speculative investments that can easily make you a fortune, returning 1,000%… 10,000%… even 30,000% or more. 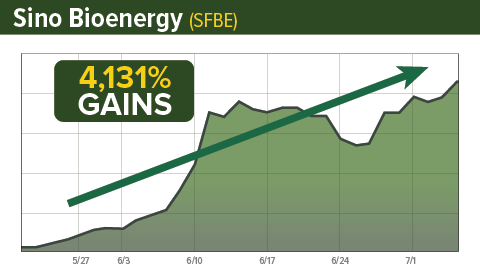 For example, Striper Energy – an oil exploration company – jumped 3,200% in only 21 days. So whenever I uncover an opportunity, I send an instant “buy alert” recommendation by email exclusively to Micro Energy Trader subscribers. And if you claim one of the 100 membership slots available today, you’ll have instant access to my detailed briefing on this fast moving opportunity. That’s just to get started. 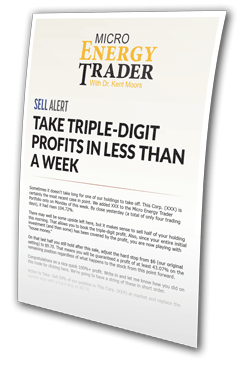 On average, you’ll receive three to five new targets from me every month. And after I issue every recommendation, I will keep you updated on every development that takes place. I will be there by your side from the beginning to the end for each opportunity. In fact, to make sure you get the most out of these opportunities, I also host Members-Only Conference Call Events. You can listen in as I discuss emerging shifts in the energy markets, specific “intel” about red-hot energy sectors or investments, and more. You’ll also have 24/7 access to the Micro Energy Trader members website where you can find all of the buy alerts, special briefings, and recordings of past live events. Then, whenever I feel it’s time to exit one of the positions and capture maximum gains, I will email you an instant sell alert. You will also be able to have a notification sent to your cell phone via text message, so you’ll always know when a new opportunity or sell alert has been posted. Remember, my goal in each of these investments is to swing for the fences – 1,000% or bigger winner. Of course, we don’t see profits on every play. And occasionally, based on market conditions or a new development, we’ll close our positions with much smaller returns. But overall, the results have been extraordinary. This is Micro Energy Trader’s fifth full year of publication. It would have transformed into an average profit of $120,368 per year. Of course, if you invest a little more, the returns would be even bigger. And that’s just from our normal microcap targets. With the details you’ll discover in today’s special briefing, Infinite Power: The Nano-Grid’s Coming 38,901% Windfall, you could earn many times that amount with your first investment. Over the next three years, this $75 million defense contractor’s shocking innovation is set to transform the global energy grid. Unless you have high-level connections in the government, you have almost no shot at finding these opportunities anywhere else. So obviously, this is a premium service, and it’s priced accordingly. Now, having said that, your subscription isn’t going to cost $25,000… or even $10,000. The rate for a one-year membership is just $5,000. But remember, there are only 100 slots to Micro Energy Trader available today. So if you want a shot at this historic opportunity, you’ll have to act quickly. There’s a button below. It will take you to a secure membership form where you can review all the details about Micro Energy Trader and the “Infinite Energy” Nano-Grid. But before you click it, I want to make sure you’re completely comfortable with your decision today. You can simply call the toll-free phone number at the bottom of every email and cancel your membership. As you may be aware if you’ve ever been a part of a highly specialized service like this, normally you would be charged a $300 fee if you cancel inside the refund period. This helps ensure that only those who are truly serious about this opportunity enroll. However, if you secure your membership today, I will waive that fee. That means you can use Micro Energy Trader for 30 days, and if you decide it’s not for you, you’re entitled to a full refund with no penalty. But you have to hurry. With only 100 spots available today and a $1,500 discount, these spots will go quickly. The fact is, I’ve only ever opened membership slots to Micro Energy Trader four times in the past. Once we reach capacity, I may never open it again. And while this Nano-Grid defense contractor is the Pentagon’s “secret” partner for now, that information won’t stay under the radar for long. 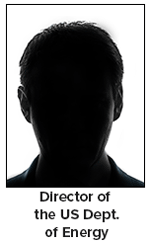 High level government insiders have already started to acquire large stakes in this company. As soon as others see what they’re doing, things will begin moving very quickly. So click the button below now and you’ll be taken to a secure order form where you can review all the details. Or if you’d prefer a live operator to walk you through this info, just call 855.509.6600 during business hours, Eastern Time, and mention Priority Code WMETT913. Our customer assistance team will be standing by to answer any of your questions. I want to thank you for joining me today. I hope to see you on the inside. Copyright – 2018 Money Map Press, LLC. The Money Map Press is a publishing company that does not act as a personal investment advisor for any specific individual. Nor do we advocate the purchase or sale of any security or investment for any specific individual. The proprietary recommendations and analysis we present to readers is for the exclusive use of subscribers. Readers should be aware that although our track record is highly rated, and has been legally reviewed for presentation in this invitation, investment markets have inherent risks and there can be no guarantee of future profits. Likewise, our past performance does not assure the same future results. Warning: The past performance of any trade whether actual or hypothetical is not necessarily an indication of future results. Stocks, futures, currencies, commodities, CFDs, options and all types of investment trading can have large potential rewards, but also carry large potential risks. We make absolutely no representation that gains or losses demonstrated in services published by Money Map Press LLC are likely or achievable. Hypothetical trading examples also cannot possibly take into account the impact of liquidity or buyer and seller demand, and do not allow for slippage and associated trading costs and concerns. One must be aware of the risks and be willing to accept them in order to invest in the markets. One should never trade with money that one cannot afford to lose, and one must accept that there will be losses, and one must be able to sustain these losses, both from a financial as well as an emotional perspective. Recommendations are for the exclusive use of subscribers and can change at any time. This work is based on SEC filings, current events, interviews, corporate press releases, and what we’ve learned as financial journalists. It may contain errors and you shouldn’t make any investment decision based solely on what you read here. It’s your money and your responsibility.